Honourable mentions have to go to both the 1995 and 2005 versions of Pride & Prejudice, and the Kate Beckinsale Emma, all of which I also greatly enjoyed. I've yet to see the 2009 Emma, but suspect it may make this list when I have done. I'm also hoping to see Love & Friendship pretty soon!! 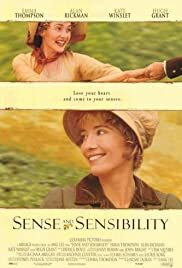 I love the Emma Thompson version of S&S, I think she did a fantastic job with the screenplay. It definitely plays around with the plot of the novel a bit, but I agree that it works well, particularly her fleshing out of Margaret. Thanks! That's good to know about Love and Friendship - I'm hoping to get the DVD so I can watch it soon. Great choices! I enjoy Margaret being fleshed out, as well. Sometimes I actually forget she's in the book!